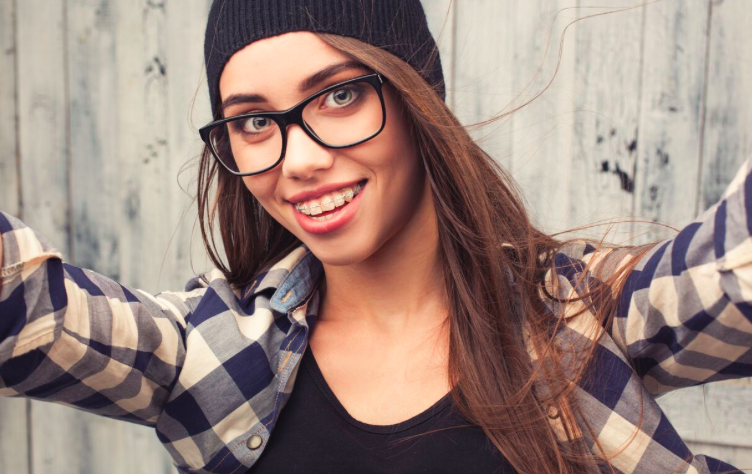 You’ve taken the first step toward a healthier and more beautiful appearance by getting braces at Parks Orthodontics and now you’re probably wondering what comes next. The first week is the period of biggest adjustment; there’s a lot to learn in this short time but don’t worry! In a few short days, your braces will feel completely natural. On the first day, your braces will probably feel very odd in your mouth and it will take time to get used to them. By the second day, you may feel some soreness or pain. If you are going to experience any soreness, the second and third days are when it will happen. Most pain can be dealt with by taking an over-the-counter pain reliever such as ibuprofen or acetaminophen. Your cheeks and tongue are getting used to your new braces just like your teeth are. You may develop sore spots where this soft tissue rubs against the harsh metal of your braces. The best way to avoid this and allow your mouth to heal is by covering the metal spot with orthodontic wax. Break off a small piece and roll it into a ball in your hands. Dry the metal of the braces with a cotton swab, then wrap the wax around the sharp spot to create a cushion. Braces are held onto your teeth with special orthodontic glue. Once in a while, part of your appliance may come loose from the surface of a tooth. This won’t harm anything but it will be slightly inconvenient. Call our office right away so that we can glue the bracket back on. Make sure you avoid hard items such as ice, caramel brittle, and other hard candies, and don’t open packages with your teeth. These habits can contribute to brackets popping off. Even fairly innocent-sounding items like popcorn or french bread can cause brackets and wires to become damaged, so avoid eating any hard foods or cut them up into small pieces before consuming. If you have questions about which foods to eat and avoid, or if your braces are more sore than expected, feel free to contact our office at (757) 874-6655 for help. Parks Orthodontics is committed to providing exemplary care and service for every step of your orthodontic journey!